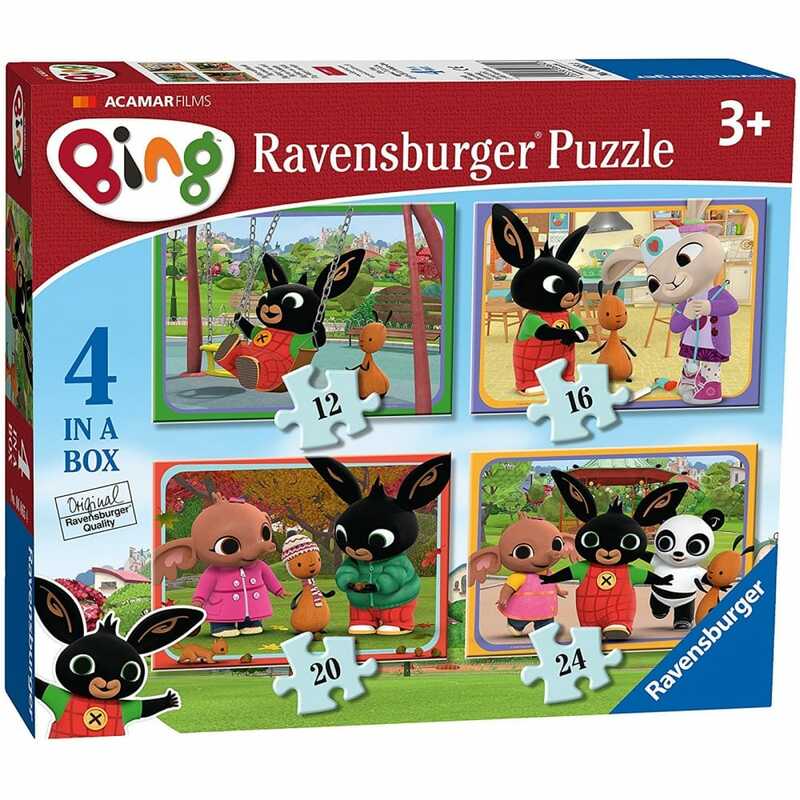 A set of 4 puzzles featuring your favourite TV character Bing and his friends Pando, Sula, Coco and Flop enjoying their everyday experiences and special adventures. The set has 4 different pictures with various size puzzles 12, 16, 20, and 24 pieces. Each puzzle measures 19 x 14 cm.